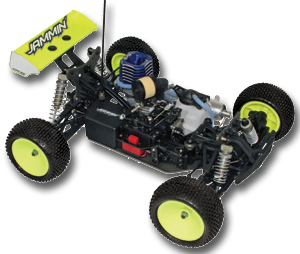 The CRT.5 Mini Truggy now includes the Extended Chassis allows for standard full size servos to be used in both the steering and throttle. 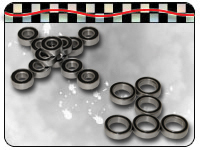 The increased length also improves handling characteristics. 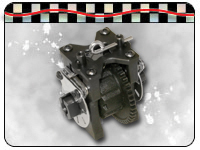 Adjustable CNC Motor Mounts to accommodate many different brand engines. 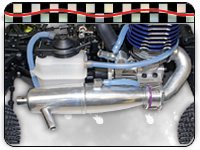 Two Piece Tuned Exhaust Pipe and 75cc tank. 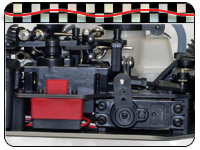 Laydown steering servo with adjustable servo saver. 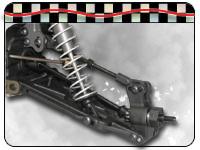 Throttle and brake linkage is fully adjustable. 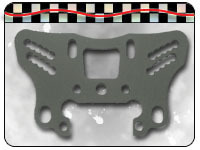 Center differential with front and rear disc brakes. 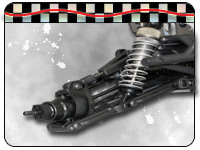 Differential internals are proven technology from the larger 1/8th scale class. 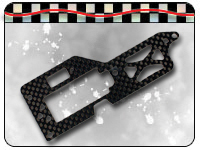 Carbon fiber radio tray. Lightweight but durable. CNC machined front and rear adjustable suspension arm mounts. 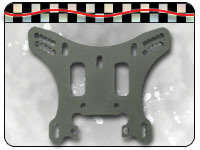 Plastic inserts allow for adjustments of the tow angle and anti-squat. CNC machined rear shock tower. 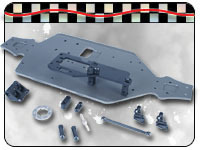 The shock towers offer a wide range of adjustment holes for the shock mounts and camber links. CNC machined front shock tower. 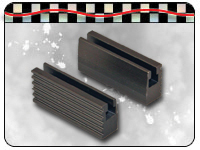 Plastic inserts for the upper inner arm pivot makes adjusting the front roll center a snap. Front suspension with composite front spindle hubs. New front hub design allows for adjustable castor angle. 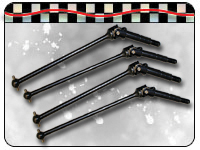 Long travel front and rear suspension arms for the ultimate stability. Captured hinge pins and adjustable wheelbase are all standard. 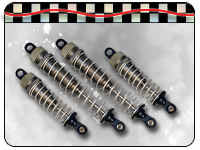 Big Bore aluminum threaded body shocks with 3 different piston choices. 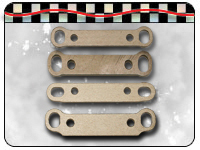 Front and Rear universal joint type dog bones. 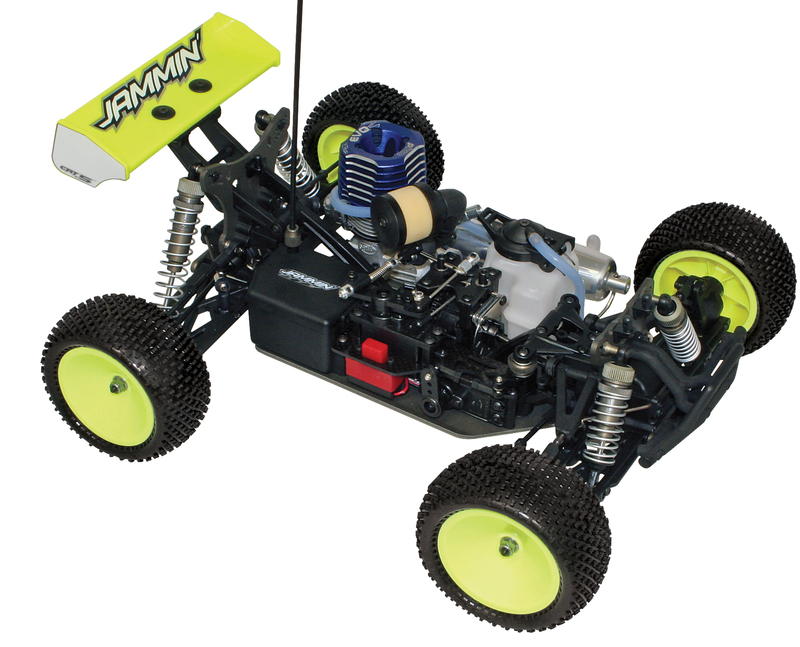 The standard for most 1/8th scale racers. 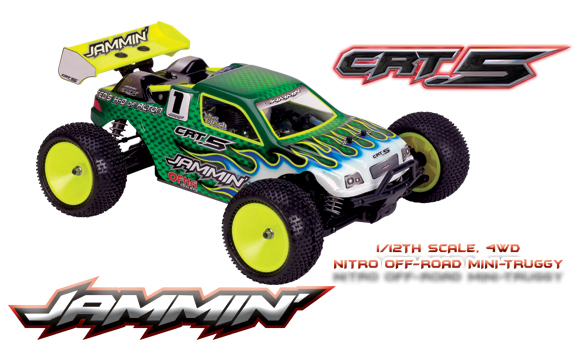 No compromise with the CRT.5 Mini Truggy. 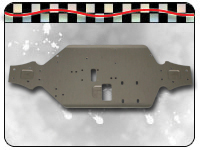 CNC Machined Hard Anodized Chassis makes for a rigid and durable platform. 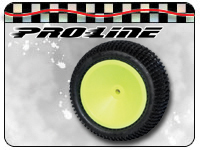 Proline tires included with this racer makes it competitive right out of the box. All other trademarks and copyrights on this site are owned by their respective owners. All Rights Reserved.